As an exception to the standard tax rules requiring beneficiaries of retirement accounts to pay early withdrawal tax penalties when prematurely withdrawing their 401(k) benefits, divorcing spouses can withdraw their benefits without incurring federal income tax penalties. According to the Internal Revenue Code Section 401(k), spouses with written qualified domestic relation orders can withdraw their funds incidental to their divorce proceedings without paying the 10 percent IRS early withdrawal penalty. 401(k) accounts are employer-provided benefit plans maintained pursuant to the Employee Retirement Income Security Act. Although employers do not have an affirmative obligation to provide their employees with 401(k) retirement savings plans, they may voluntarily establish them. Employees going through divorce are subject to the Internal Revenue Service's tax laws for early distribution and spousal transfers. In both community property and equitable property divorce law states, divorcing spouses have a right to ownership of marital property. Since retirement accounts can be marital property, spouses may have to share their 401(k) accounts. In most cases, 401(k) account holders can withdraw their vested benefits when they reach the federal retirement age of 59½. Although retired employees can withdraw their funds without incurring extra income tax penalties, divorcing spouses who are younger than age 59½ cannot. Fund administrators are responsible for withholding federal income taxes from a taxpayer's distributions at a rate of 20 percent on the total distribution. 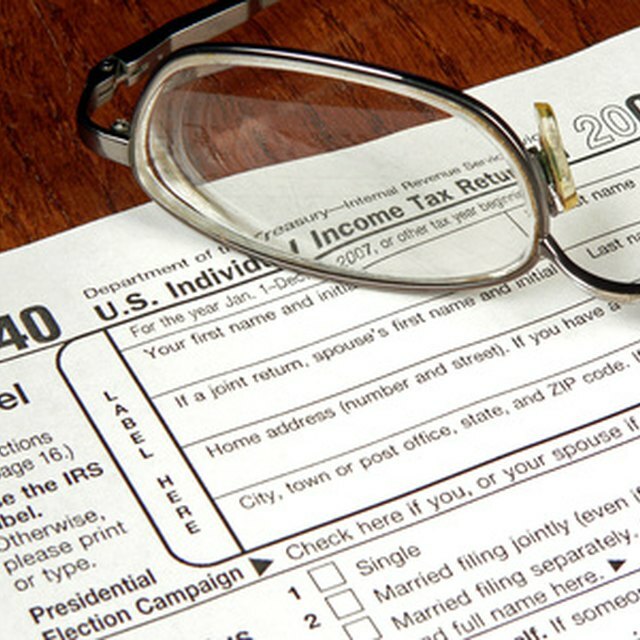 In addition to the 20 percent automatic withholding, taxpayers are responsible for paying any other extra income taxes, including state taxes and additional federal income taxes, according to their tax brackets. However, the IRS also imposes a mandatory 10 percent penalty fee on the amount withdrawn. As such, divorcing spouses would be subject to paying almost 1/3 of their early withdrawal amounts as income taxes. According to the Internal Revenue Code of 1986 and Employee Retirement Income Security Act of 1974, employees going through divorce can avoid the 10 percent early withdrawal tax penalties if they obtain a qualified domestic relations order, also known as QDROs. Can I Borrow Money From My 401(k) for a Car Purchase? Divorcing spouses who obtain a qualified domestic relations order drafted in compliance with the tax code and retirement act can avoid paying the standard 10 percent IRS income tax penalties on their withdrawals. Furthermore, if they withdraw their benefits, they can roll their benefits over into qualified retirement IRAs or 401(k)s without incurring income tax penalties if they do so within 60 days of withdrawing them. Under the Employee Retirement Income Security Act, spouses do not have to sign their written orders but must obtain one through a judicial proceeding. Since tax laws can frequently change, do not use this information as a substitute for legal advice. Seek advice through an attorney licensed to practice law in your state.